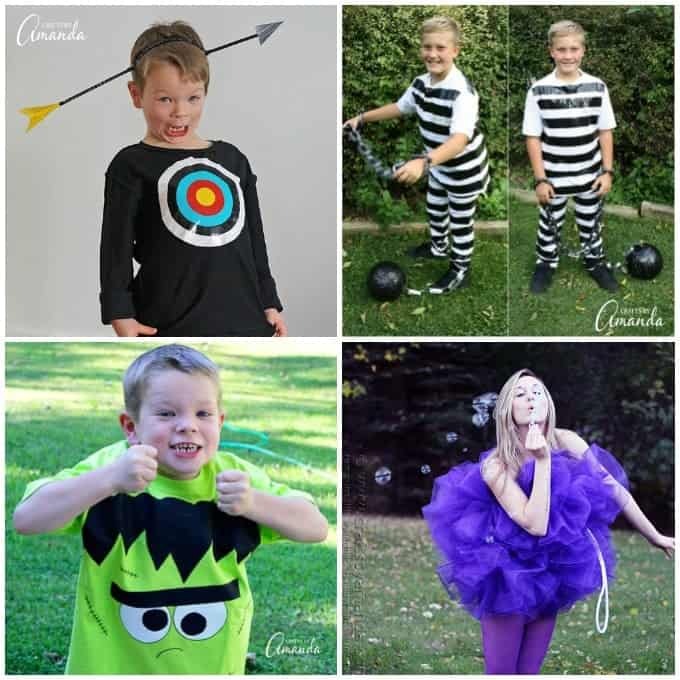 Halloween is less than a week away and there are still those out searching for quick, last-minute Halloween costume ideas. 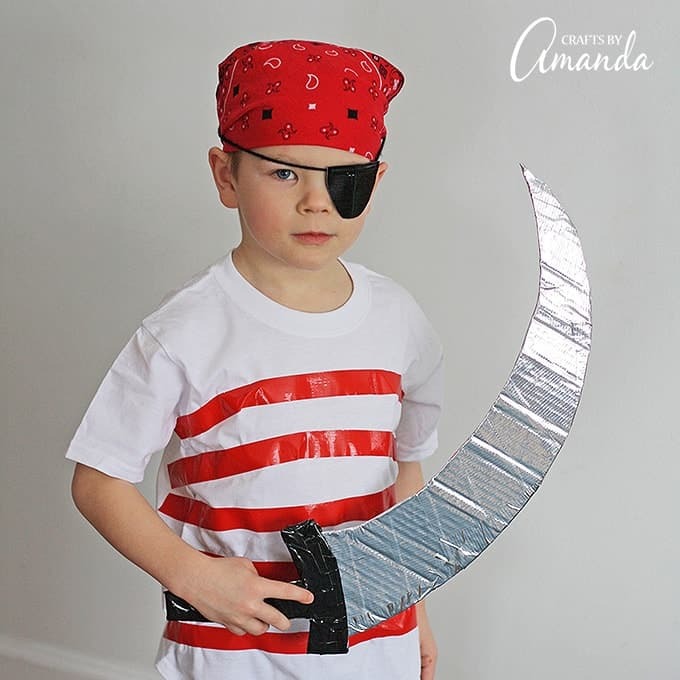 This pirate costume is easily made from regular street clothes, some duct tape and a little bit of cardboard. So if the costume racks are empty, never fear! 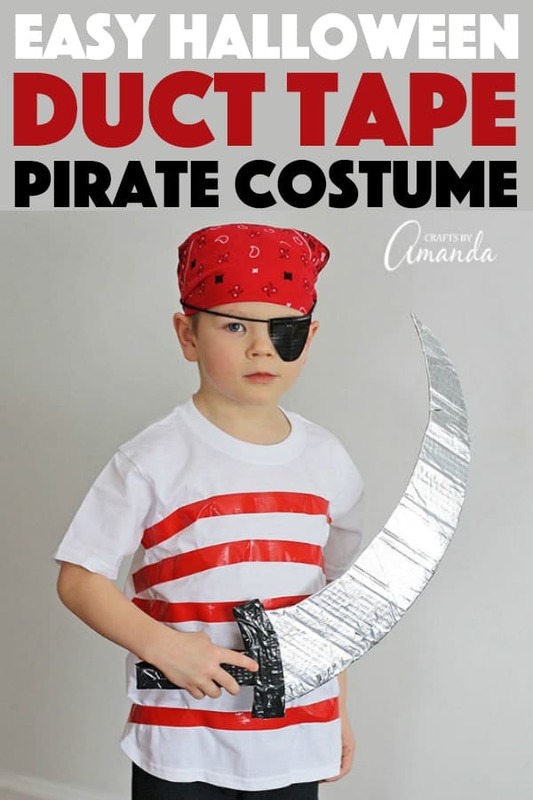 Let’s make a quick and easy duct tape pirate costume. 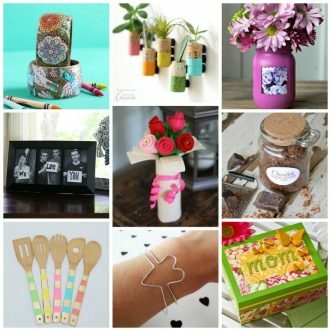 If you’ve been reading this blog for a while, then you know I’m the author of several craft books for kids, one of them being Duct Tape Mania. From that book, I shared my duct tape skeleton costume and a few others that you can see at the end of this post. But today I’m going to show you just how easy it is to transform into a pirate. Argh! 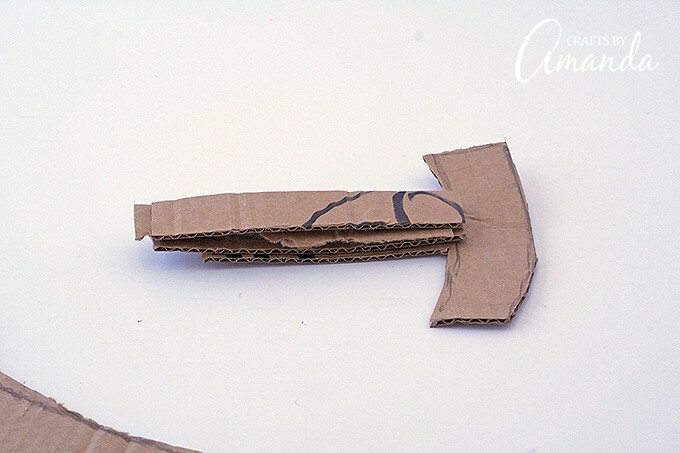 Cut a sword shape from cardboard and cover it with silver duct tape. 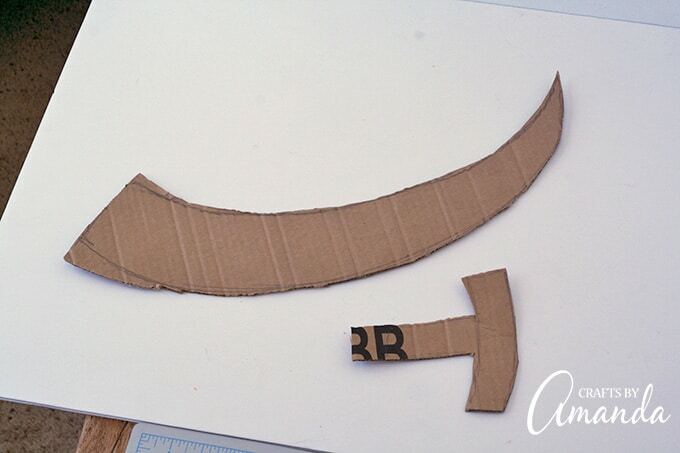 Cut a handle (shaped like a “T”) from cardboard and cover it with black duct tape. Attach the handle to the blade using duct tape. Fold the sheet in half so that no sticky edges are showing. Cut the double-sided sheet into a patch. Use another small piece of black tape to attach a length of yarn long enough to go around the child’s head. You could also try this no-sew felt pirate patch if you prefer. 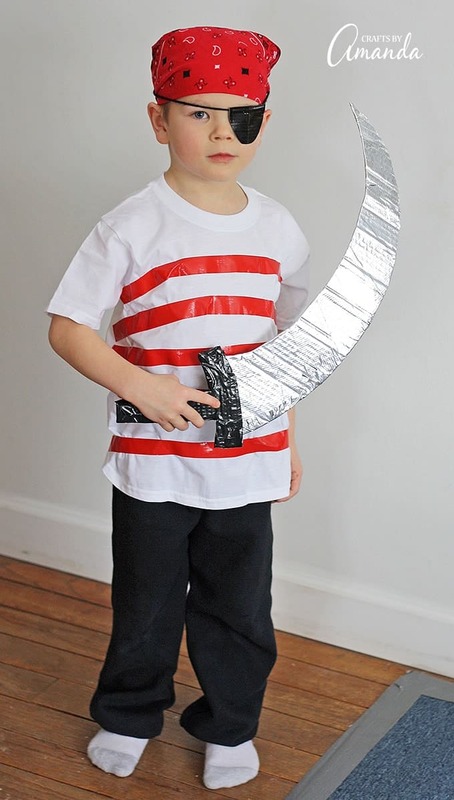 To assemble the entire costume, dress the child in dark pants and a white t-shirt. Cover the shirt with red duct tape stripes. Tie the bandana around child’s head and tuck in any edges sticking out. Tie eye patch around the head. Have the child carry the sword. 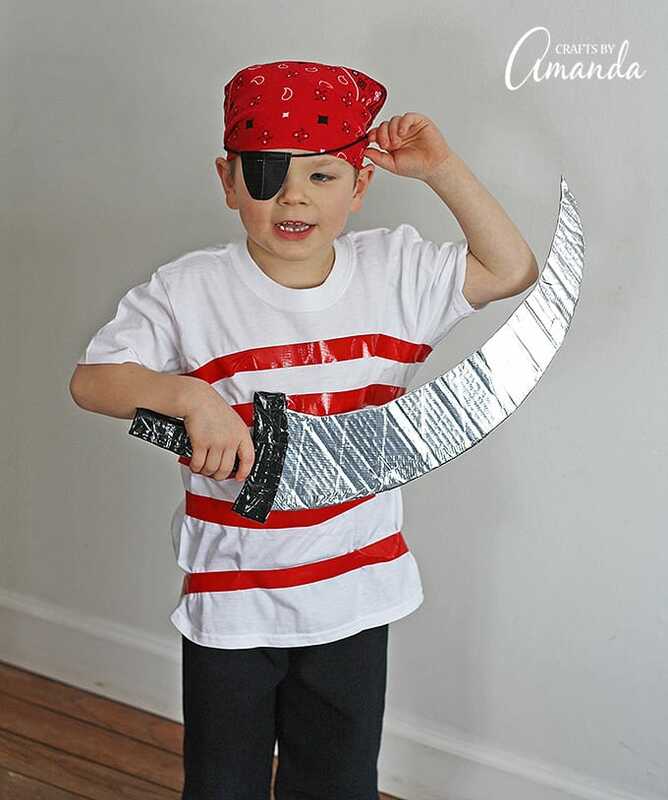 This pirate costume isn’t just for Halloween, it would also be great for a pirate birthday party! It would also be fun to dress up for Talk Like a Pirate Day on September 19th each year. One more fun thing… here are some free printable pirate saying flash cards your kids will love. Just print them out and each one gives you a definition of the various pirates saying such as “scallywag”, “blow me down” and “shiver me timbers”! Measure and cut two 4-inch strips of black duct tape. Layer one over the other slightly to create a small sheet. 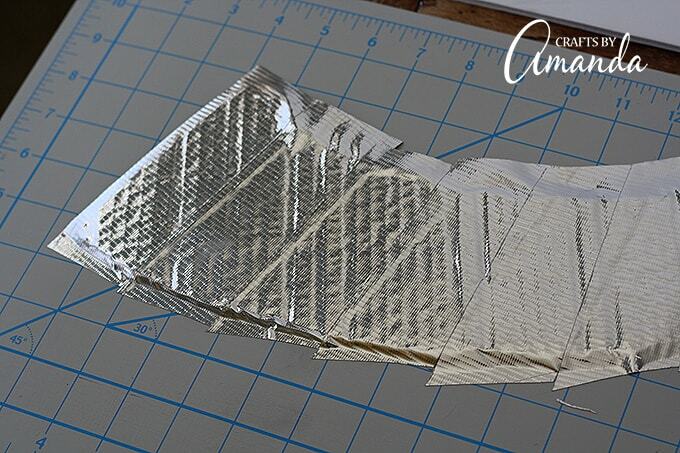 Cut the double-sided sheet into a patch. Use another small piece of black tape to attach a length of yarn long enough to go around the child’s head. To assemble the entire costume, dress child in dark pants and white t-shirt. 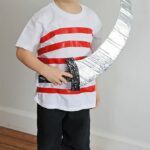 Cover the shirt with red duct tape stripes. Tie bandana around child’s head and tuck in any edges sticking out. Tie eye patch around head. This post was originally published on this blog on October 26, 2016.